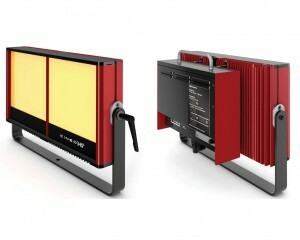 Rosco LitePad HO+ - 3" x 6"
Cineo Lighting have introduced the next generation of HS – the Cineo HS2. The HS2 lamphead features a single piece design for increased ruggedness, as well as an improved safety switch for better reliability. 80/20 mounting slots on both the sides and back of the fixture make attaching yoke and accessories easy. Two distinct mixing chambers allow custom CCT mixing via DMX. New hinged top access panel allows for easy, one-handed phosphor panel and .